Industrial safety saves lives, limbs and money while increasing trust and teamwork. Any ethical business will place a high emphasis on safety if it values its employees and future existence. Insurance policies cost more for a business that has had an increase in claims. With safety plans, costly lawsuits and health payments may be avoided. 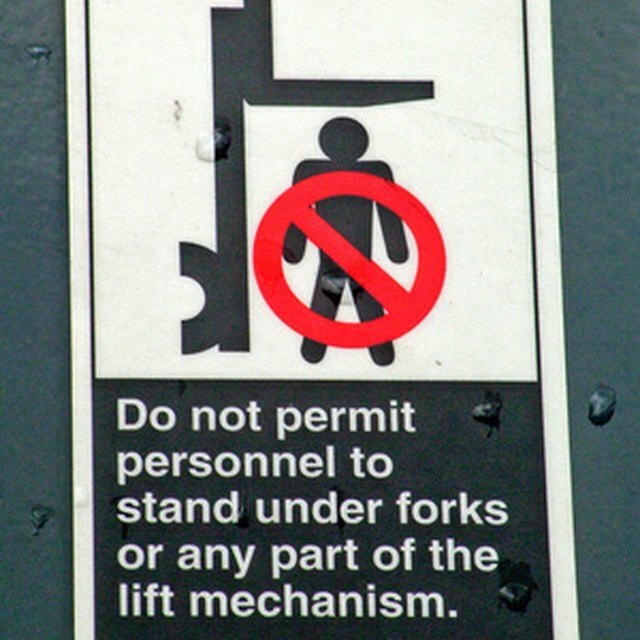 The U.S. Department of Labor has rules regarding safety practices. OSHA, the Occupational Safety and Health Administration, is called in to investigate companies with too many accidents, all of which must be reported to the government. Well-trained employees are valuable. If they are lost or injured in accidents, that is a personal and an industrial loss. Protecting employees with safety plans is the protection of an investment as well as a human thing to do. What Is the Safest Energy Source? Industrial safety is a two-way street. Training employees in safe practices may be as simple as watching a video about using a box cutter or being sent on a seminar. Either way, if everyone is involved in the process of safety, an additional benefit may come in the sense of teamwork and trust. Safety practices have wider implications than just the workplace. They may result in safer products for consumers, protection of consumers from accidents, and may also protect the environment from pollution.